Here is another totem animal ring I made with polymer clay. I got the idea for the design off youtube, though I didn’t follow the tutorial. Get inspired and make your own! If you want to represent your totem animal in your daily life, jewelry is a great way to go. 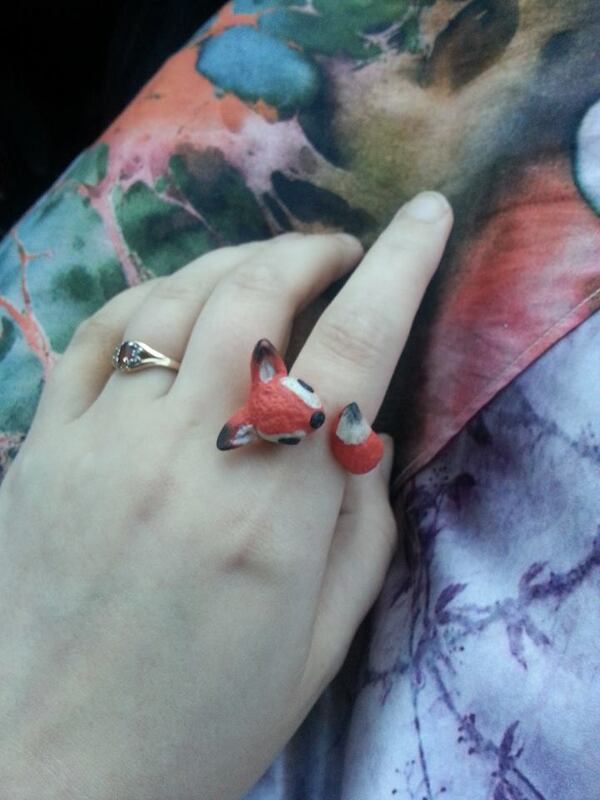 Here’s a pretty simple idea you can make yourself: polymer clay animal-ears rings! What you need is some polymer clay, a simple ring base, and an oven. 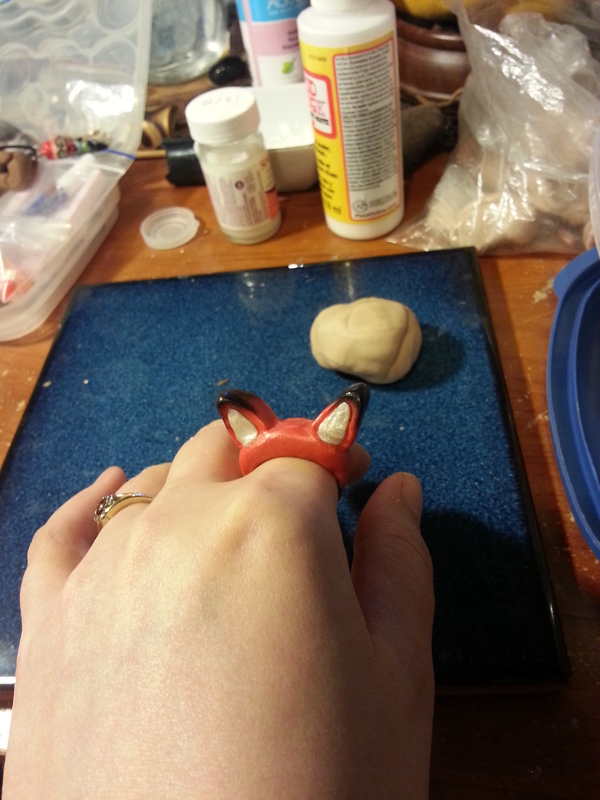 Shape your clay over the top half of the ring and make sure it fits with the clay on. Then add some ears! You can go as realistic or cute as you like. 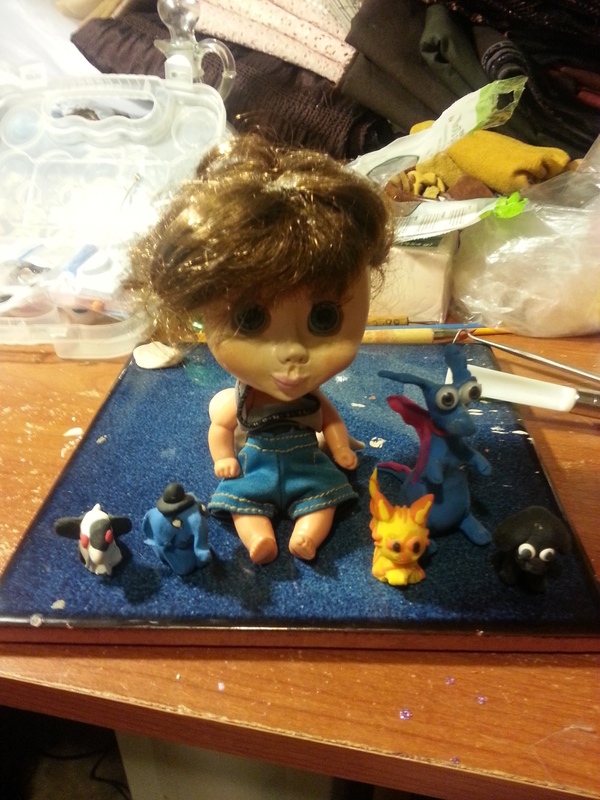 You can paint the clay after it’s baked or brush on soft pastels for details and shading. I did fox ears. 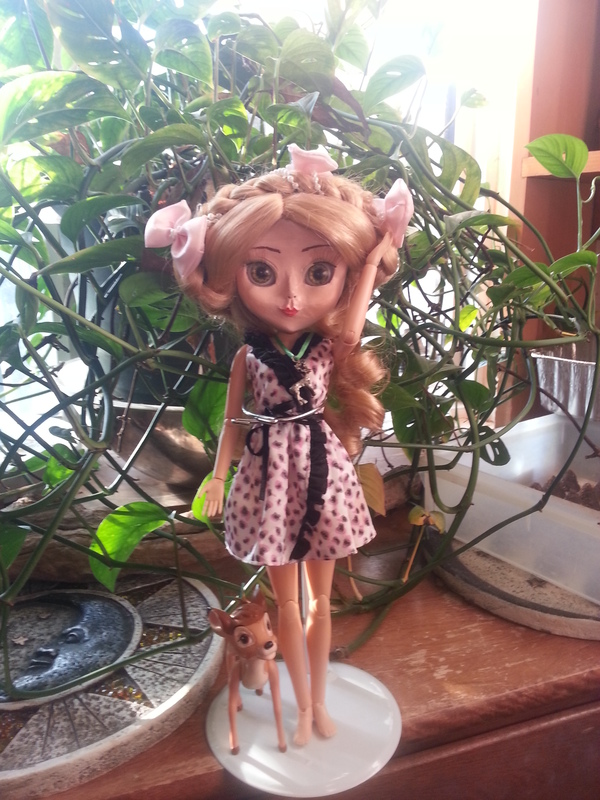 Since I’ve been making little dolls, I wanted to make them some clay accessories. 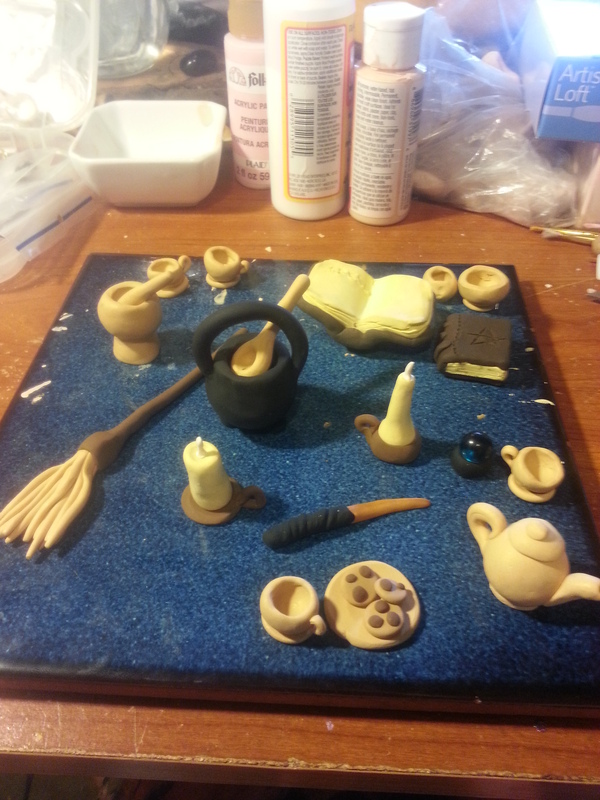 The first thing I tried to make was a tea set, and then I made a bunch of witchy tools: a cauldron, books, mortar and pestle, crystal ball, broom, knife, and candles. Here is my cute but amateur work so far! 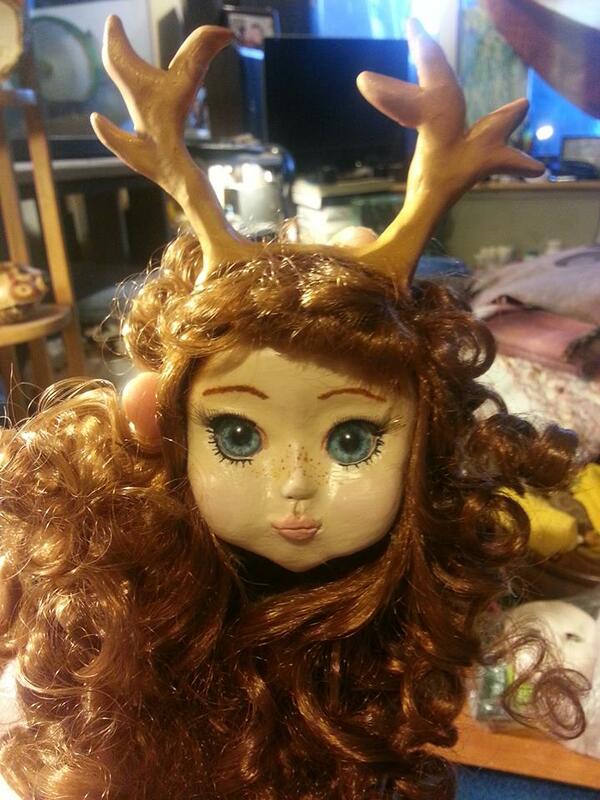 I’ve gotten into sculpting doll faces, which became the perfect outlet for my personalities to express themselves. 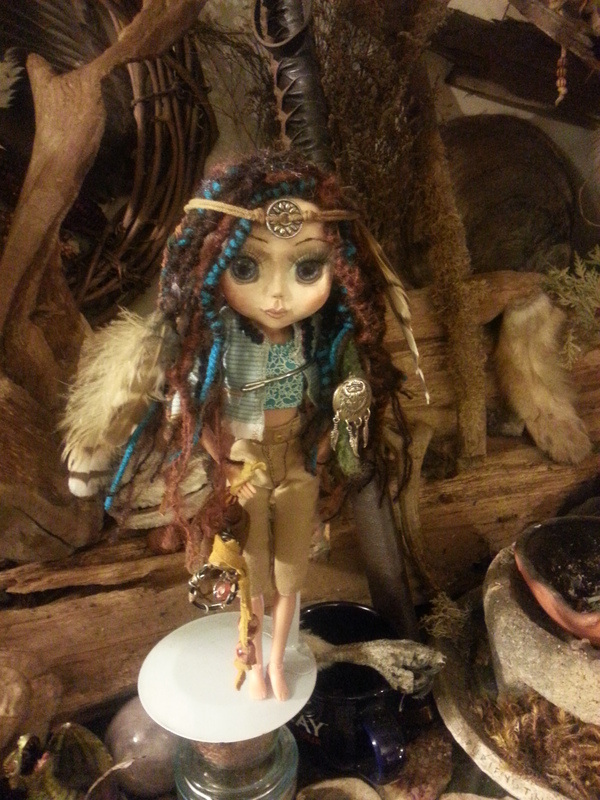 We’ve made seven dolls so far, each based on a different alter personality. We are going to sew little outfits too. 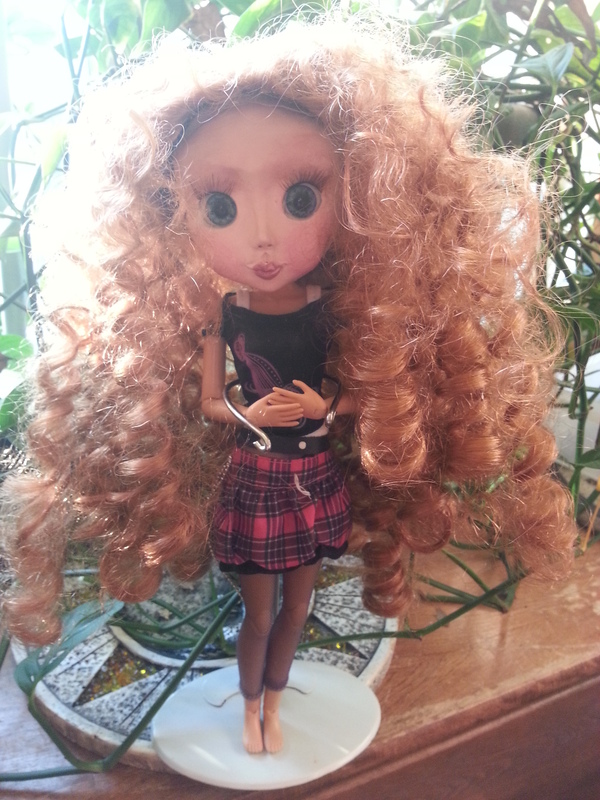 So far all the clothes we’ve used came with the secondhand doll bodies we attached the heads to. But these temporary clothes do bear some resemblance to what each personality likes. It’s proven to be a very engaging, rewarding and fun hobby as well as a way to show people how my alters view themselves. After a long, long time of feeling ill and going through some emotional stress, I am doing better. I even have energy for a new hobby! 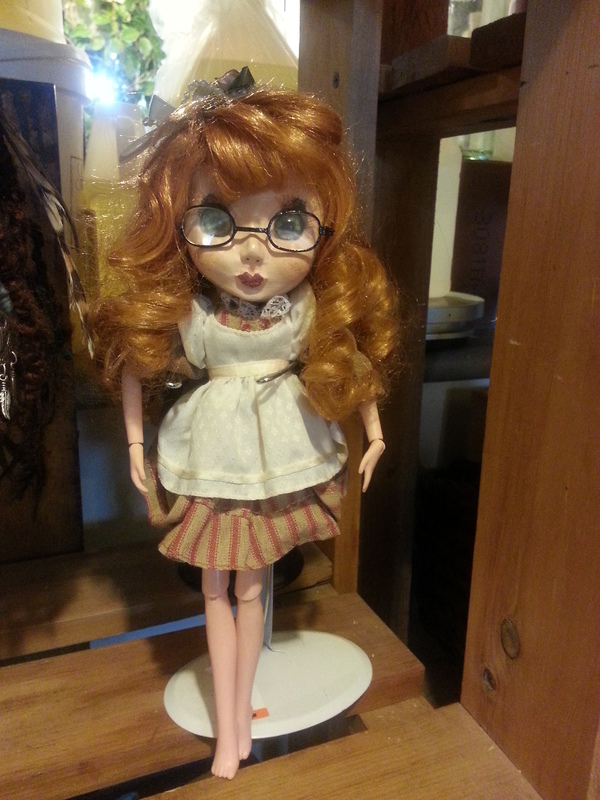 I’m interested in art dolls or ball-jointed dolls. I’m poor so I am handcrafting the heads and mounting them on cheap jointed bodies. 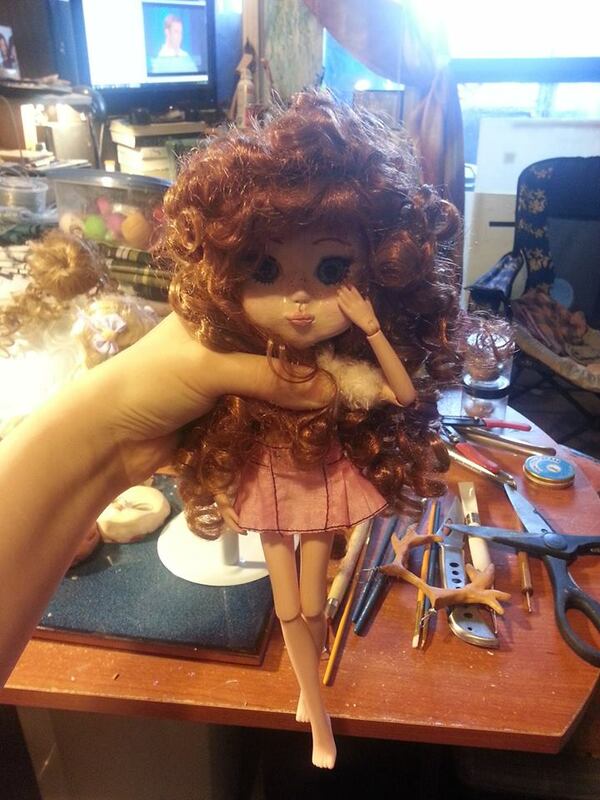 I get wigs off second-hand old porcelain dolls and now I need to get busy making tiny intricate clothes. Here’s a sneak peek at my efforts so far.